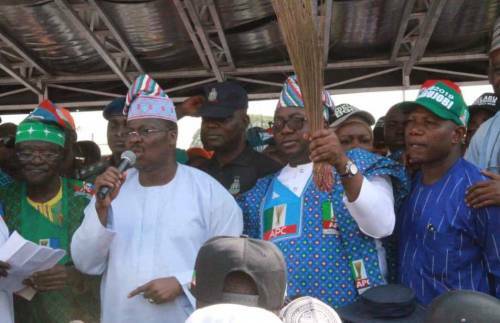 “Adelabu Bayo needs to acknowledge that you cannot eat your cake and have it," they added. "Tegbe is the Minister and Ajimobi has said it and the heavens have sanctioned it. President Muhammadu Buhari shall approve it this time; remember he was nominated in 2015 when Adelabu was nowhere in APC."